I have probably built somewhere in the region of around 50 websites/blogs using the WordPress platform, and rely on some really cool plugins which make it a real breeze. 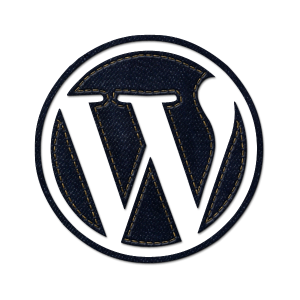 If you want a Blog or Site that rocks, WordPress Plugins are the answer to your own personal coder! No need to learn how to integrate functions such as contact forms, seo, sidebar widgets, downloads etc, quite often, there is a plugin available to do the job for you. Plug-in Junkies beware though, too many plugins can slow a site down, and some can even cause conflicts depending on which theme or framework you have chosen. You should always try to map out your Blog / Site before you start building, and have a good idea of the types of wordpress plugins and widgets that you will need to use to complete the look and feel of your site. Below is a list of Top WordPress Plugins I use on a regular basis. This Plugin Optimizes your WordPress blog for Search Engines (Search Engine Optimization). This Amazing Plugin speeds up the load time of your site (keeping it ever so Google Friendly) It makes your pages load faster and stores static versions of your site on the server, decreasing the CPU processing required to view your site. Get it! The plugins you use will depend on the type of site/blog that you are building. Many plugins will add widgets which you can simply drag and drop into your sidebar, which is a huge time saver and will eliminate the need to write any html code whatsoever. Looking for More Free WordPress Plugins? You can visit the Official WordPress site here where you can simply search what you want your plugin to do and WordPress will fetch back the best results for you. What WordPress Plugins have you found the most useful? I signed up for your newsletter, and am currently reading it’s content. I just wanted to mention that the two free e-gifts, could not be downloaded. I saved them, but could not retrieve them. I do not know if it is my computer, but the prompts indicated that something in the link was “broken” or “missing”? I am not well versed in internet related “stuff”, so I do not have a clue as to the possible problem. The important thing for me is the content of your newsletter, and thank goodness there are no technical problems with your website…as there is a lot of good useable information there. Thank you for the quality of the information provided, I am creating a folder to store the information you are providing, particularly because I am just starting to create a WordPress Blog. Thank You. Hi Stanley, I have sent you an email with a direct link to download your free gifts! I am glad you find the resources on my blog helpful. Let me know if there are any posts you would like to see here.